After his big victory, the mayor-elect outlines his intentions in office. 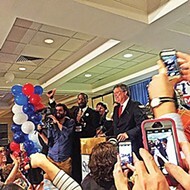 To the surprise of many observers, Councilman Jim Strickland, an acknowledged underdog when he declared as a candidate for mayor last January, won election last week with a 20-point edge on incumbent Mayor A C Wharton. At 42 percent, Strickland's share of a larger-than-expected dissenting vote was clearly the predominating one when compared to those of Councilman Harold Collins (18 percent) and Memphis Police Association president Mike Williams (16 percent). So does the mayor-elect regard himself as having a mandate? "Yes, to implement my platform" a relaxed Strickland agreed in the course of an interview in his law office on Monday. Strickland will take office, along with a newly elected city council, on January 1st. In the meantime, his first task, to be completed this week, is the naming of a transition committee. There will be "two or three" co-chairs of that committee, he said, and they will assist him in naming a staff to help run the city. As for that aforesaid platform, it was made clear during the campaign, within the winner's incessantly reiterated triad of bullet points. 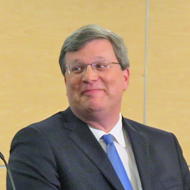 In every speech, public statement, interview, and ad, Strickland essentially limited himself to promises of remedial action on public safety, blight, and accountability of public officials. Wharton pitched to millennials and talked up bike lanes and futurist blueprints. Collins advocated a crash program on behalf of high-tech jobs. 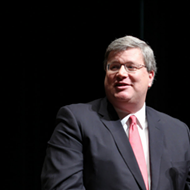 Even Williams evolved rapidly from his original incarnation as a one-issue candidate (restoration of lost employee benefits) and proposed strategies involving solar panels and transportation reform. With the regularity of a metronome, Strickland stuck to his triad of safety, blight, and accountability. These are all valid problem areas — or would seem to have been so regarded by the voters, but they are all arguably managerial, even housekeeping, matters. Strickland thinks otherwise. "I disagree with people who say all that's not a vision," he said on Monday. "You have to have an effectively run city government. To create a community that's more inviting to people and businesses is so meat-and-potatoes that some people don't consider it a vision. I just disagree. I think it is a vision. When you're one of the most violent cities in America, number one in unemployment, with a poverty rate of 30 percent, doing the basics is important. If city government were a football team, you'd say it doesn't block and tackle very well." 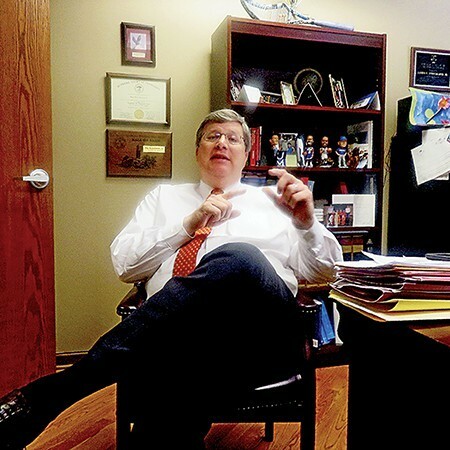 And there was one important component of his legislative persona that Strickland left unsaid during his campaign — his longstanding history as a budget-cutter and apostle of fiscal austerity, as the councilman who in 2010 generated this headline: "Strickland Proposes City Employee Pay Cut." These were inconvenient matters to remind voters of at a time of palpable public resentment of benefit cuts and reduced core services. To be fair, Strickland later rethought the pay-cut idea, but — unlike Collins, who seems to have split that part of his core protest vote with Williams — he signed on to most of the other economies that Wharton would ultimately embrace (and pay the political price). There is a reason why Strickland, who some 20 years ago served a term as Shelby County Democratic chairman, had virtually wall-to-wall support this year from the city's Republican voters and other conservatives and why GOP rank-and-filers from the county's suburban municipalities were always to be found at his fund-raisers and rallies. To those who might wonder, however, Strickland still considers himself a Democrat — "I've always voted in Democratic primaries. I never have voted in a Republican primary" — though he says he is unlikely to be running for any future office as a party nominee of any kind. His ambitions, he contends, are limited. "This is it," he says of the office he has just won. "Those who thought crime was not an issue lost." Apparently, safety-blight-accountability was a sufficiently nonpartisan platform to work with voters across the board, and the first two points of that triad had figured large in polls commissioned by chief Strickland strategist Steven Reid, resonating strongly even — or perhaps even especially — with inner-city blacks, whose encounters with violence and environmental squalor have been long-standing. And, to be sure, Strickland did espouse some new wrinkles, mostly incremental in nature. He suggested using private funds to help reformed felons pay for expunging their records, liaising with Boys Clubs and Girls Clubs, and offering financial incentives — residential PILOTs, he called them — in the form of tax breaks for people to buy a home in the inner city, rehab it, and live in it. "Another thing is that it can take a city or county three or four years to foreclose on a piece of property with a tax debt. That's too long," Strickland contended. "We need a shorter time than that." The legislature has to be talked into making both of those ideas possible. "Then I'd like to expand a program I created enabling citizens to serve as reserve code-enforcement officers. That's not being implemented very enthusiastically at present. I'd also like to talk with county government about better cooperation on simplifying code enforcement. We've got a city fire code, a city residential code, and a county commercial code. Maybe we could consolidate them." Strickland sees law enforcement as his most pressing matter, as well as the key part of what he sees as his vision. "Last November, we did a poll to see if Mayor Wharton could be beaten. And we polled the issues that were near and dear to my heart, including crime. We found that being tough on crime was a popular stand, to both races. Harold Collins was as tough on crime as I was. He used the term 'terrorism.' There's a small minority in Memphis who don't think crime is an issue, and they lost. "We lost a little less than 400 people. In 2014, the Wharton administration told me we lost 158 police officers. We normally lose 100 a year in natural attrition. We lost 58 more than normal, which is concerning, but it's not 400. "But, aside from quibbling about numbers, we do have a serious problem hiring and retaining police officers. I propose a series of steps. Number one, we're going to be honest and open with the unions. We'll open up the books and let them look at them. The Wharton team has told us for a year and a half that we could not afford the lifetime health insurance. The employees have a suspicion that money is there for lifetime health insurance and has been used elsewhere. The only way to counter that argument is to open up the books and let everyone see what we can afford and what we can't afford. I want to learn the answer myself. "Two, we need to do a better job of recruiting new police officers. When I got on the council eight years ago, one of the first things we did was try to hire more police officers. We went then from 2,100 to 2,400 police officers by changing the area in which they could live — Memphis to Shelby County — and we went through a big recruiting period, with TV ads. "We've got to come up with funds in the city budget to increase the pay of police officers." 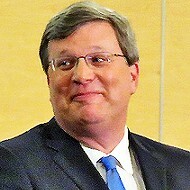 Strickland reserves the right to impose rigid curfews on youth in cases of flash-mob flare-ups like the violent outbreaks that plagued the city in late 2014. "[Former Councilman] Rickey Peete passed a curfew law 10 or 15 years ago, but it's not enforced. It's a stair-step program, pegged to age. If you're 14 years old, you need to be home at 10 o'clock." Reinstituting a full-fledged program of civilian reserve (PST) officers to handle traffic investigations and other nonviolent matters is another step Strickland intends to take. "That's an additional expense, but it gives you more police officers on the street. 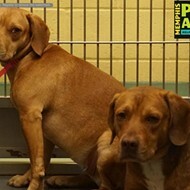 And I want to bring the animal control officers from the city shelter into the police department, for two reasons: One, I think you get better oversight from the police department than the shelter; and two, I think you'd get more efficiency, because, right now, a wild dog call can go to either the police department or the shelter. Put them under one roof, and there's more efficiency, and you can send out animal control officers, which frankly are less expensive, and the police officers can patrol the streets. 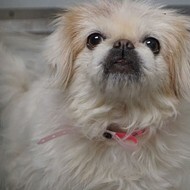 "We need a new director of Animal Services, by the way. 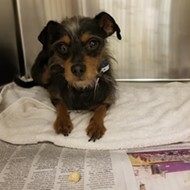 I want to hire one of these national, certified animal-advocate groups to come in and do an evaluation of the shelter and also help us hire a director." There is the matter, too, of who will serve as police director. During the campaign, the three other major mayoral candidates — Wharton, Collins, and Williams — all indicated they would continue the employment of Toney Armstrong, who has a year to go before exiting the department via the early-retirement (or "drop") program. Strickland was the only candidate who avoided committing himself. "I think Toney's a good man," Strickland said. "It's too early to say what I'll do. That's one of the things I want to talk to him about. If I wanted to go outside the city and recruit a police director, would that person want a full four years to institute their program? Or would three years be acceptable? And I think Director Armstrong would know that." As he sets about naming a staff (which he promises will be "impressive and diverse"), Strickland says he will employ the same "less is more" philosophy that he employed in picking a campaign staff. "We had lots of volunteers, but we had just two paid staffers, Kim Perry and Melissa Wray," he said. He also had the services of campaign consultant Reid, to whom he gives significant credit in planning a strategy that led to victory. 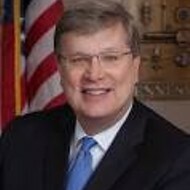 As noted above, the one major fact of his council experience that came in for minimal expression during that campaign was Strickland's reputation as a budget-cutter and advocate of economic austerity. "I think people already knew that about me," Strickland says by way of explaining his downplaying of the issue. "As a whole, people cared about the other issues more. I think you'll see more serious cuts, by the way. We'll have fewer employees, especially in upper management." Having often decried what he described as over-billeting and cronyism in Wharton's administration, Strickland will do some judicious pruning and consolidation of the city roles. "We will restructure government," he promises. Holdovers? There could be some, he acknowledged. Gone from his conversation on Monday was the sharp polemics of his mayoral campaign. 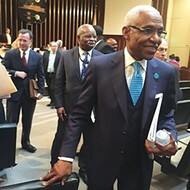 He paid tribute to outgoing Mayor Wharton and the incumbent's CAO, Jack Sammons. "They've both been very gracious and forthcoming in the conversations I've had with them." Strickland made clear he intends to take seriously the third point in his triad of campaign issues — that of employee accountability. Were there already check-points to measure performance in office? Strickland was asked. "I would argue they are spotty," he said. "I'll be meeting with Doug McGowen, who runs the Mayor's Innovation Delivery Team, to go over what work he's already created. We ought to have measurements on how long it takes to process 911 calls, for example, and we should hold people accountable to a definite set of standards." There are more details to be worked through but, consistent with the bare bones of Strickland's campaign appeal, the syllabary of the new mayor's agenda will be a lean one, limited by the relative scarcity of available resources and focused on a few carefully chosen target areas. The real change is the fact of Strickland himself, a bluff, hearty, good-natured but competent and calculating man whose mayoral ambitions had been of long standing but whose pathway to power and margin of victory both remain something of an astonishment — with the latter fact allowing him whatever mandate he can make of the means at hand.